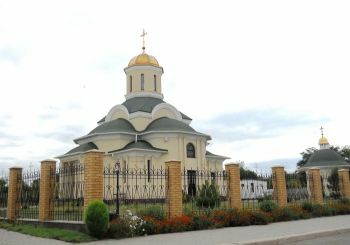 Who lives in the Zaporozhye region, according to official data, about 7 thousand Armenians. 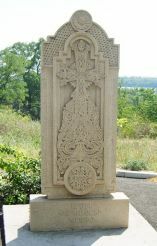 On their initiative was created by the Union of Armenians, which included 800 representatives of national minorities. 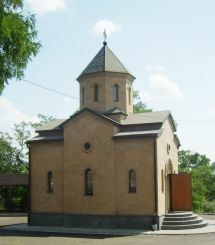 One of the important things implemented by this group of people was the erection of the church, known to the locals called Armenian. Armenians living here, want to consolidate our young people and older people to ensure the continuity of the manners and customs inherent in this nation, as well as maintaining contacts with people of their own nationality. They seek to strengthen and interethnic harmony. 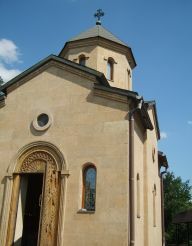 The church became the fulcrum for such ideas. With its help preserve the traditions and cultural rituals, that allows people to feel part of a great, ancient culture, they do not forget, even when you are away from it. 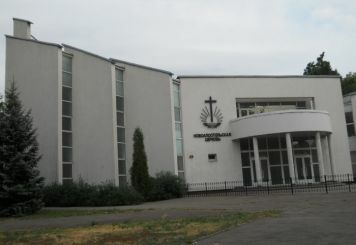 When the church opened a special Sunday School, which organizes activities for children. 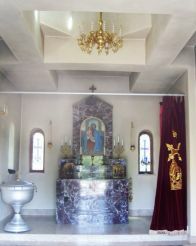 This school "Narek" is right on the territory of the church. It also acts formed by young people Armenian organization "Urartu". The organization was founded in 2006. They also organized Armenian dance ensemble "Nairi". "Urartu" organizes various events: concerts, exhibitions of talented youth, charity events and seminars. 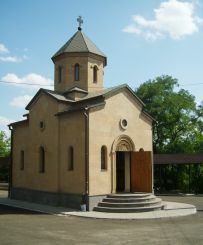 The Armenian Church is located in the city of Zaporozhye. You can reach it before reaching Victory Street, stop "5th hospital." 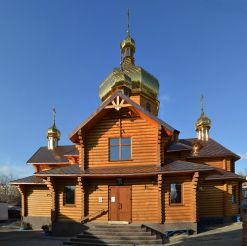 The church was built on a hill on the banks of the Dnieper, and it is clearly visible the island Khortytsya.